All over Europe, digital rights are under attack, and numerous organizations are already advocating and going to court to protect human rights in the digital sphere. To facilitate collaboration between digital rights actors and provide funds for strategic litigation for that cause, Digital Freedom Fund, was established in Berlin last year as an independent entity. 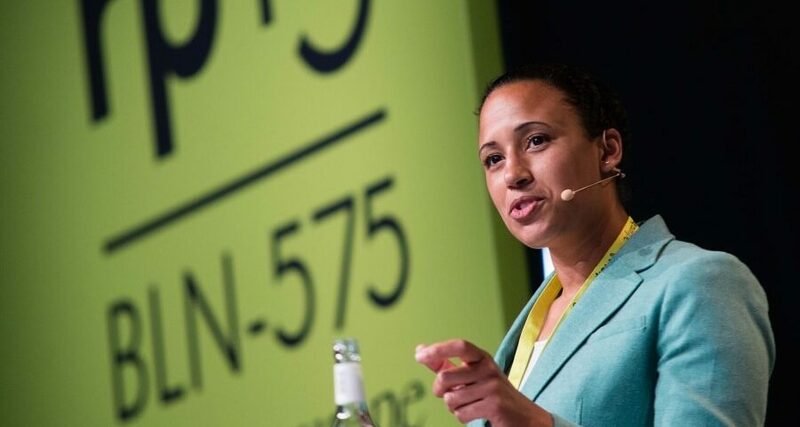 Legal Dialogue met with the Fund’s Director Nani Jansen Reventlow to find out more about their goals, the state and the future of digital rights in Europe. Digital Freedom Fund has officially been in operation since October 2017. How did the organization come into being? The idea to put more effort in the strategic litigation to advance digital rights in Europe came from the digital rights community. It was first voiced at a meeting organized by the Open Society Foundation here in Berlin in 2016, bringing together different organizations and individuals that work on digital rights. The interest to put more emphasis onto strategic litigation led to the idea to establish the Digital Freedom Fund (DFF) as a separate entity that could support and catalyze such efforts. Important aspects of effective strategic litigation are working together with others, sharing information, and building a long-term strategy. DFF can help with that but it also can financially support strategic litigation. What was the work ‘behind the scenes’ to set up the Fund? We started already in summer to talk to everyone in the community to find out what we should do to help them do their amazing work, how we might support digital rights, and how our work could have more of an impact. We have been having individual interviews since this summer, as well as a number of smaller meetings bringing together groups of litigators, and advocacy people. It has been our goal to listen to what they are working on and what is important to them. A lot of people in the field do see the need for better coordination and information sharing. There are a lot of ideas on how it can be improved. In February we will have a big strategy meeting in Berlin where we will figure out how we can best put it into operation. Recurring themes in the conversations are government surveillance, data protection and the GDPR [General Data Protection Regulation], but also consumer privacy in the context of the Internet of things. So you don’t go to court yourself but support those who go to court? I am a litigator by background. So for me this is a different way of engaging with litigation on another level. We offer support to those going to court and connect them with other professionals to make their cases stronger. How will you choose which cases to support? We hope to support a number of cases in the course of the year. This comes down to the question ‘What is a strategic case?’ One important thing to look at is how this can be embedded in a broader strategy for change. Who are your partners? Who are you working with to make sure there is proper advocacy on the side? What is the follow-up? Because you can win a case and have a nice precedent in court but how are you actually going to make sure it is implemented so that you can achieve the desired effect? By the same token, if you lose a case this can be a step for a change. If you campaign on an issue and you can get the public engaged, losing a case can actually act as an impulse for legislative change. When exactly will the first call take place? We are currently working on refining these criteria as we have received feedback from a number of NGOs. Our plan is to receive the first applications by April, and to continue receiving them on a rolling basis. One thing I find important is to be responsive to the needs of litigators. Cases don’t come in quarters or so. The opportunity for litigation might arise and you have to be ready to act on it. Can you give an example of a case that DFF could support? I can just name a couple of organizations that have been already doing great work in the field. For example, there is Mark Schrems and Digital Rights Ireland with the Facebook case. Here in Germany Gesellschaft für Freiheitsrechte has been working on a number of pretty interesting cases. Others include La Quadrature du Net in France, Panoptykon in Poland, Liberty in the UK. The distinction between digital and non-digital rights is fluid, so the organizations like Hungarian Civil Liberties Union and the Media Legal Defence Initiative also do a lot of work that impacts digital rights. That is of course a non-exhaustive list. DFF works mostly with digital rights. What do you understand by that? What is the scope? The scope is broad. We take digital rights as human rights in online and networked spaces, not as a separate category but rather by the context in which human rights are exercised. Such human rights include the right to freedom of expression, the right to privacy, the right to equality, etc. We take a really broad approach there. It also includes the way technology impacts human rights. Passenger registration systems and all the data that could be collected with that also falls under our scope. Why is it important to pay extra attention to digital rights now? Our lives are moving online more and more. The line between offline and online has blurred completely if ever even existed at all. The reason for concern and to pay extra attention to this now is that I think we all were asleep at the wheel when these issues first emerged. There was this idea that is was another realm, we had nothing to hide, etc. It took a while and it is still taking a while for people to realize what the degree is to which their rights have been infringed upon. Fighting back is really important. Do you feel like society at large is aware of this problem’s importance, or is it rather the legal community’s concern? I think there is definitely room for improvement in the awareness and understanding of it all. I think there is also an obligation within those groups of people who do understand exactly what is going on in making this clearer to a wider audience. It is made so easy for us to give up on a number of rights without fully realizing it: you accept ‘Terms and Conditions’ without really thinking about it, you use free services online because it is convenient, forgetting that you are actually paying with your data. What is the state of digital rights in Europe right now? They are under threat. That would be the short answer. But is there any difference between the situations in different European countries? Well, yes and no. With the European Union we have aligned regulation across a great number of countries. When you look at data protection and GDPR that is coming, there may be differences in implementation depending on national jurisdictions. This will also offer really interesting litigation opportunities and one can be really strategic about that. For example in Germany a law on hate speech on the Internet has been adopted recently. What is you view on developments like this one? This is worrying of course and it sets a very bad precedent. It will be really interesting to see to what extent this law can hold up in the longer term. In my personal view, this is a serious infringement on the right of free speech. Germany isn’t the only country that has been adopting questionable legislation when it comes to free speech online. France has been adopting a series of ‘bad’ laws to suppress terrorism. It is a trend that extends beyond Europe. Bad legislation that is adopted here has a ripple effect that goes much further. Talking about ‘beyond Europe’, how can the work of your organization be used beyond Europe? Europe is a standard setting location when it comes to digital rights. It has an impact on the US because any corporate business that wants to do business in Europe has to comply with standards here. It also sets a standard in another way because governments are held to account and corporations are held to account in how they treat human rights. This is an important moral standard. Is there anything else apart from networking and funding that your organization will be focusing on? With the funding that we have received from the Foundation for Democracy and Media and the Renewable Freedom Foundation we are going to start a project that looks at future digital rights issues to complement litigation support work. Litigation is by its nature reactive. This project seeks to map the issues that are on the horizon and that we should be getting ready for. This will be an interesting thing to integrate in our work. And what are those upcoming issues? There is a lot to be explored in the area of artificial intelligence and automated decision making, such as issues of equality and diversity. The group of people who design our technology is not very diverse and that has implications for the outcomes. Another question is: what happens when in the digital sphere certain groups are excluded or marginalized? How can you make sure that there is an equal playing field in the digital sphere? A really interesting issue is freedom of thought: to what extent are you freely making up your mind if you are targeted and pushed in a certain direction? Thinking a bit ahead, what is the digital world of your dreams?